So long to the standard cocktail glass! Here, some seriously funky bars serving up cocktails in creative ways. 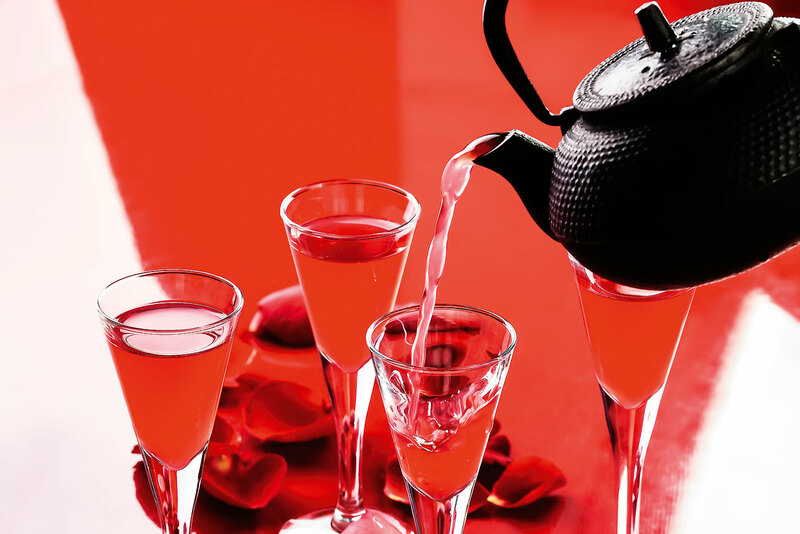 Just as they did during the American prohibition era of the ’20s to conceal the illegal sale of alcohol, a growing number of modern drinking establishments have taken to serving cocktails in dainty teapots and teacups. More novelty than criminal activity these days, it certainly does give new meaning to the concept of high tea. New York’s The Back Room is one of only two speakeasies in the city that operated during the prohibition era. It’s a timeless example of NYC’s underbelly past where ‘business meetings’ were conducted with ‘tea’. Across the Atlantic is a travelling tea party in London. Pop-up bar Little Nan’s Cocktail Den (next stop: Shoreditch, until 15 August) is a vintage-style bar serving bespoke cocktails in the best of granny’s china (see cat teapots). The World Bar (temporarily trading as The Find in an alternate location due to a fire) in Queenstown claims to be world-famous for their delicious teapot cocktails, with signature drinks like ‘Czech Behind You’ as well as the classics. But other establishments have gone way beyond the teapot using all sorts of unusual vessels to hold their booze. In Singapore The Library is discreetly located in a row of Chinatown shophouses (they don’t have a website because they’re all secretive and cool) and serves up old-fashioned cocktails in a manner of ways – think medicine jars in zip-lock bags and mini bathtubs with rubber ducks. The folk at The Lucky Liquor Co in Edinburgh had a light-bulb moment (literally) when they began making cocktails in light bulbs, mini juice bottles and science-like contraptions. But service at The Envoy in Hong Kong takes the cocktail crown by presenting their drinks in weird and wonderful ways: ceramic dinosaur eggs, glass birds, even a blood bag served on ice in a liver tray… Mmmmm. It seems you’ve gotta get a gimmick if you want to get somewhere in the world of cool cocktails.